It is estimated that over 1200 people have a stroke in the USA every day. 400 of them become permanently disabled. It is the leading cause of disability and the fourth leading cause of death in the USA today. The long term effects of disability cost us more than 25 billion dollars every year. That’s the bad news. The good news is that it is almost completely preventable. On the physical level, one cause is responsible for the majority of strokes that occur today. If we understand this and take the necessary steps to prevent stroke, our chances of having one will lower significantly. However, as has been mentioned in other pages on this site, it is imperative to see the body as a whole and heal on each one of The Five Levels of Healing in the Body. No one level is more important than another other and they should all be addressed. A stroke happens when not enough blood is able to make it to the brain resulting in cell death. Two main types of strokes occur. And ischemic stroke is when not enough blood makes it to the brain. This can happen mostly due to a thrombosis (a blood clot obstructing blood flow) or an embolism (a blockage of another kind of substance). Both of these factors are more pronounced when atherosclerosis (thickening of the artery) is present. 87% of strokes are ischemic. A hemorrhagic stroke is when internal bleeding in the brain occurs due to an aneurysm (bulging of the blood vessel which can lead to it bursting). 13% of strokes are hemorrhagic. A transient ischemic attack (TIA), which has been referred to as mini-stroke, can have the same causes as a stroke but the symptoms are temporary lasting less than 24 hours and disappear. A mnemonic exists that is easy to remember outlining the main symptoms of a stroke. More extensive symptoms are present in strokes depending upon which areas of the brain have been most affected. Other signs can include altered smell, hearing, taste or vision, eyelids drooping, unbalance or instability, memory impairment, inability to turn one’s head to the side, vertigo, dizziness, loss of consciousness, headache, vomiting and altered breathing and heart rate. What are the main risk factors of a stroke? High blood pressure is typically seen as the biggest risk factor. However, other common issues are present that lead to high rates of stroke occurring which include diabetes, over consumption of alcohol, smoking, lack of physical activity, obesity, drug use and other unhealthy dietary factors. From a Chinese medical perspective, four factors contribute to stoke and they are overwork, poor diet, emotional factors and excessive sexual activity. These factors can each be expounded upon, which we will do below. I have become convinced that the majority of strokes can be prevented through diet and lifestyle changes. On the physical level, I have also become convinced that the same factor that cause heart disease and heart attacks is also the primary cause of why people have strokes. That main factor is inflammation. Inflammation leads to high blood pressure, which is the largest risk factor leading to stroke. As I discuss on many of my other web pages, returning to the basics of health is important in healing from a large percentage of health problems. Here are the most important basics that can make a very powerful difference in the prevention and post treatment of stroke. Avoid ALL fried foods, alcohol, refined sugar and high fructose corn syrup, wheat, soy, dairy, artificial sweeteners and corn consumption. For many this may mean radical changes in diet, which is critical if you wish to prevent or heal from the aftermath of a stroke. The best diet for those at risk or who have had a stroke is a raw vegan diet. A couple of great resources are Prevent and Reverse Heart Disease by Dr. Caldwell Esselstyn and the Rainbow Green Live Food Cuisine by Dr. Gabriel Cousens. A wonderful documentary that talks about the benefit of such diets is Forks Over Knives. Consume at least 6 servings of organic vegetables and 2 servings of fruit per day. The best way to ensure that you are getting a good quantity of vegetables is to juice them. Buy a juicer (such as the Hamilton Beach Big Mouth Juicer) and begin to flood the body with powerful disease reversing nutrients. Vegetables are the most nutrient dense foods on the planet. Drink 2-3 juices per day for months following a stroke. Juicing will lower your cholesterol in very quick amounts of time. I have had many patients juice 2 times per day, eliminate consumption of the above inflammatory foods and have seen their cholesterol drop from the high 200’s-400’s down below 200 in months. It is a super simple but powerful solution. Atherosclerosis or aneurysms will be less likely to occur when the body has the proper nutrients to keep cell walls healthy and strong. Start exercising today. Even brisk walking 3-5 times per week for a half hour each time, can be very protective in preventing stroke. Find something fun that you love to do and make sure to do it regularly and consistently. Some very powerful supplements can also help to prevent and treat the body post stroke. Vitamin C, vitamin D, vitamin B3, ginkgo biloba, Cyruta plus, Cataplex ACP, Cataplex G, and some very powerful Chinese herbal formulas have been found to be very useful in the prevention and treatment of stroke. If you would like to be testing with Nutrition Response Testing to determine what supplements would best work for you, please contact us to set up your appointment either at a distance (phone consult) or here in the clinic in Orlando. 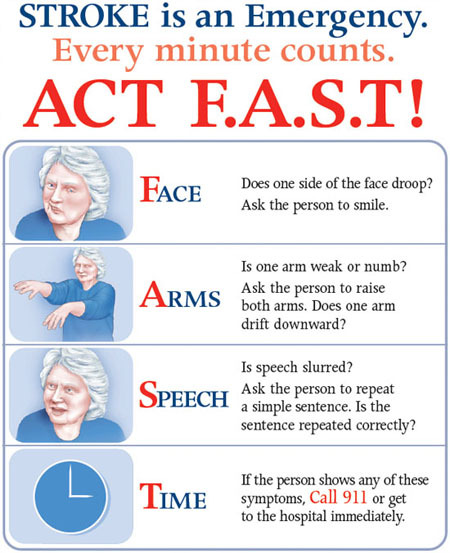 What to do immediately following a stroke? One of the most imperative things that can be done immediately following a stroke is beginning hyperbaric oxygen chamber therapy. Hyperbaric oxygen treatment can flood the body with oxygen, generate new stem cell production and can play a critical role in repairing damaged cells in the body. I first learned about this is Ed McCabe’s book Flood Your Body with Oxygen. Other ways to get more oxygen into the body is through juicing, taking coconut oil that is bonded with oxygen, or drinking water that has been flooded with ozone. Ozone machines are available for purchase very inexpensively. A tube from the machine is inserted into a glass of water, runs for 10 minutes and is immediately consumed. Acupuncture that is done starting one week after a stroke is perhaps the most powerful way that someone can regain full function of the body. It is very important to get acupuncture as soon as possible following a stroke. The more time goes by the longer it takes to heal. An amazing documentary to see about this is 9000 needles. In Chinese medicine we classify stroke using the following terms. A stroke can be qi, blood or yin deficiency leading to internal wind, fire, phlegm or stasis affecting mostly the liver, kidneys and spleen. While it isn’t important to know the Chinese medicine diagnosis pattern behind why a stroke occurs, it is important to understand that people have been having strokes for thousands of years and the Chinese were able to deal with the after effects in much more powerful ways that we see in the modern world today. Dietary changes, powerful herbal formulas, and acupuncture are very powerful agents that can restore full function in many cases after a stroke. Acupuncture points that are stimulated promote electrical stimulation and the movement of oxygen and blood. Acupuncture has also been proven time and again to reduce inflammation, the primary cause of stroke. While you may spend money out of pocket for treatment of acupuncture, the money you will save in the long run due to disability is of no comparison. For 10 sessions of acupuncture, herbs, supplements and diet therapy you may spend 1000-1500 dollars. Insurance doesn’t cover all of the costs associated with disability and you could spend tens of thousands of dollars due to disability in the future out of pocket. Getting acupuncture is far more effective and in the long run is very cost effective. For the Chinese, negative emotions were often seen as the most powerful causes behind why people experienced health problems. It has been proven that a majority of people have heart attacks on Monday morning (because people hate their jobs). Western medicine is waking up to this fact and seeing how very powerful the mind can be leading to this health problem. From a Chinese medicine perspective, it is entirely possible that negative emotions are the primary factor leading to a stroke. The three organs most involved in the pathology of strokes are the liver, spleen and kidneys. The main negative pathological emotion of the liver is anger, the spleen is worry and over thinking and the kidneys is fear. “Stroke—Feeling useless, hopeless, inadequate. Overwhelming pressure and stress. Unable to handle the situation you are in. Giving up. Feeling like a failure. Shutting down. Refusing to change and failing to understand why what you have done did not work.” Some of these may apply to you, some may not. In what areas of your life have you been experiencing anger, worry or fear? In what areas of your life may you possibly be experiencing the above emotions? Learning how to let go of your emotions may be the most important step in helping you to heal. If you have suffered from a stroke or wish to explore these above things together, please call 407-255-0314 for an appointment. Phone consultations can be done just as easily as visits in the clinic. The only thing that cannot be done at a distance is acupuncture. However, changes in diet, supplementation and the emotional work can all be done through a consultation over the phone. Call Dr. Scott now to schedule your appointment.